You might have heard about Qantas Assure life insurance and income protection products, but did you know they also provide private health insurance? Qantas health insurance is issued by nib private health funds, providing frequent flyer members with a choice of Hospital only, Extras only or combined health insurance coverage, like the Family Bundles option. Qantas health fund members will also have the opportunity to earn Qantas points when purchasing a Qantas health insurance policy and participating in their wellbeing program. However, before you decide to join or switch private health insurance providers, review what Qantas assure has to offer and compare their policies to other leading health insurance companies in Australia. ComparingExpert does not currently have access to this provider. Visit www.qantasassure.com to request a quote and compare their price and benefits to the Australian private health insurance companies we have access to. In March 2016 Qantas, Australia's national airline, partnered with nib health funds limited ABN 83 000 124 381 (nib) to launch private health insurance cover to its 12 million frequent flyers, offering Qantas frequent flyer points as part of their membership. Meaning, Qantas acts as an authorised Agent and is paid a commission by nib for promoting and distributing their health insurance products. If you purchase a combined Hospital and Extras Qantas Assure health insurance policy before 31 October 2018 you can earn up to 100,000 Qantas points. Backed by nib, one of Australia’s fastest growing health funds. Must be a Qantas frequent flyer member to join the health fund. General treatment limits of up to 75% for Extras, instead of set price limits. Pregnancy and birth related hospital services are only available through the Qantas Top hospital cover option. Their wellbeing program rewards you with Qantas points when staying active and meeting challenges. A 36-month standard waiting period for hearing aids and Cochlear speech processors. Children between the ages of 21 and 25 years can remain on their parents cover for an additional fee if full-time students and registered as a ‘Student Dependent', unmarried and not in a de facto relationship Must be an Australian citizen and permanent resident or entitled to full reciprocal rights under Medicare to purchase coverage. Qantas assure hospital cover pays for treatments received in-hospital when Medicare recognizes services, and you've served all relevant waiting periods. The level of protection you'll receive depends on which of the 5 hospital only option you've chosen. Important; Basic, Basic Plus and Mid hospital options are only available on an excess payment of $500. Removal of appendix, tonsils, adenoids and gallstones. Limited coverage, with a 2-month waiting period, is also provided for rehabilitation, palliative care and psychiatric services. A bit more expensive than the Basic option, but also includes brain surgery, cancer surgery, and stroke treatment. Surgeries to replace joints in the shoulder, elbow and ankle. Excluding hip and knee joints. Heart procedures, for example, pacemaker and stent insertions. Psychiatric services are covered to a limited extent. Advanced coverage is a bit cheaper because it does not include over for pregnancy related services: Infertility investigations, IVF and GIFT, and child birth. Top hospital provides the most comprehensive coverage, including birth-related services and no restrictions on psychiatric treatments. Qantas health insurance extras provides you with the choice between 5 options: Basic, Family, Lifestyle Active and Top. With Basic, Family and Lifestyle you receive 60% of the cost back, up to your annual limit. Active includes a 65% rebate and Top extras 75%. From the above table, you can see that senior Australians might find more benefit in the Top extras option as it includes coverage for hearing aids and home nursing, as well as higher limits for major dental and podiatry. If you want to start or grow your family, the Family extras or Top extras might be a better option. You have the option to combine Hospital cover with General Treatments (extras) in a Family Bundles policy. However, all options include a $500 hospital excess. Take note; Family Bundles from Qantas assure excludes all pregnancy-related services, assisted reproductive procedures and antenatal and postnatal services. Designed for households adhering to a strict budget. This option includes immediate and necessary in-hospital treatments required because of an accident and offers unlimited preventative dental treatment (cleanings and fluoride treatments). This combined hospital and extras option is targeted toward families wanting a higher level of coverage, for example, hip and knee replacements and back surgery, orthodontia, occupational therapy and speech pathology. Before purchasing Qantas health insurance, be sure to know what hospital and extras services you and your family need now and might require in future. Frequent flyer members that purchase a Qantas assure health policy will earn 1 Qantas Point per $1 value of the premium you pay, this excludes any Government rebate amounts that have been applied to reduce the cost of your premium. Thus, the exact number of Qantas points you can earn varies depending on the premium paid per month. Points can also be earned when you complete daily and weekly step challenges tracked using the Qantas Wellbeing App. You can earn up to 20,000 Qantas points per year when purchasing a policy with a monthly premium of $160 or more and using the App to track your activity level. You can monitor your level of activity using your smartphone or wearable device: Apple watch, Fitbit and Garmin. Who underwrites Qantas Assure health insurance? 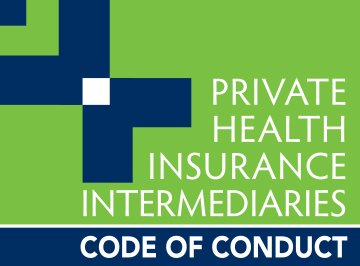 Health insurance policies issued by Qantas are underwritten by nib private health fund. Qantas Airways Limited ABN 16 009 661 901 is an authorised agent of nib and are thus enabled to promote and distribute health insurance on behalf of nib under the Qantas brand. How can I join the Qantas Assure health fund? To join their health fund, you first need to sign up and become a Qantas Frequent Flyer member and pay any applicable joining fees. You will then receive a membership number and pin. When on the Qantas Assure website, navigate to the health cover option you’d like to purchase, fill in your details and click select. You can also join when calling them directly on 13 49 60. Is Qantas health insurance any good? Whether the Qantas health fund offers good value for money depends on your unique circumstances, for example where in Australia you live, which types of services and treatments you're looking to cover and what you can afford. Do not be swayed by the possibility of earning Qantas points, first and foremost determine if the health cover provided suits you and your family's requirements. How much does Qantas health insurance cost? How much your Qantas health insurance policy will cost depends on the option you've selected to purchase, where in Australia you live and whether you'll pay weekly, fortnightly, monthly, quarterly, half-yearly or yearly. As of October 2018, you can expect an Extras policy to be between $72 and $288 per month depending on the option you purchase. For Qantas hospital only products, premiums vary from $179.76 to $384 per month with an excess of $500. Can I switch my existing policy to Qantas health insurance? Yes, you can switch to Qantas Assure health cover at any time. Qantas will even contact your current private health insurance provider and take care of your cancellation. However, when switching the waiting periods applied by your previous fund will carry over if you have not yet served the allocated time. But you'll only have to re-serve waiting periods, for the increased amount of coverage, when switching to a policy with higher benefits. 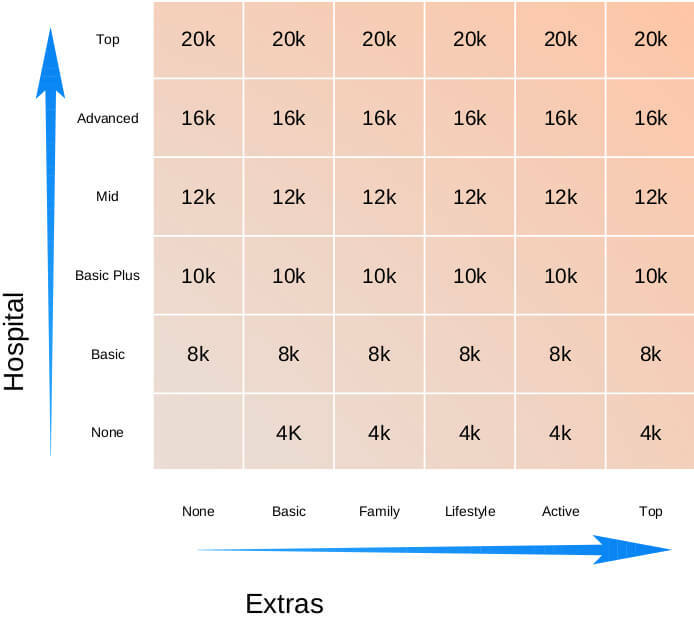 Benefit limits already used will also apply to your new plan. Qantas now offers life insurance cover! We compare Qantas life insurance, TPD, Trauma & Income Protection. You decide if what they offer suits your needs. Do any of the NIB health insurance packages provide natural health claims, for example, naturopath, acupuncture, homoeopathic services? As you might already know, from 1 April 2019 private health insurance companies no longer need to include natural therapy services in their Extras policies. According to the Australian Government Department of Health, this is one of the changes implemented with the intention of reducing private health insurance premiums. Please call 1300 786 328 for a specialist to assist you. How much per fortnight for a family of 3 for health insurance with Qantas? Hello Harry, thanks for reaching out. To provide a quote we need a bit more information, for example, the state you live in and the type of services you’re looking for. Qantas currently provides a Budget Family policy, Mid Family plan, and Settled Family policy for health insurance. If you like, you can give our specialists a call on 1300 795 560 to help you compare policies from other significant health insurance companies, which you can then compare to Qantas offering.